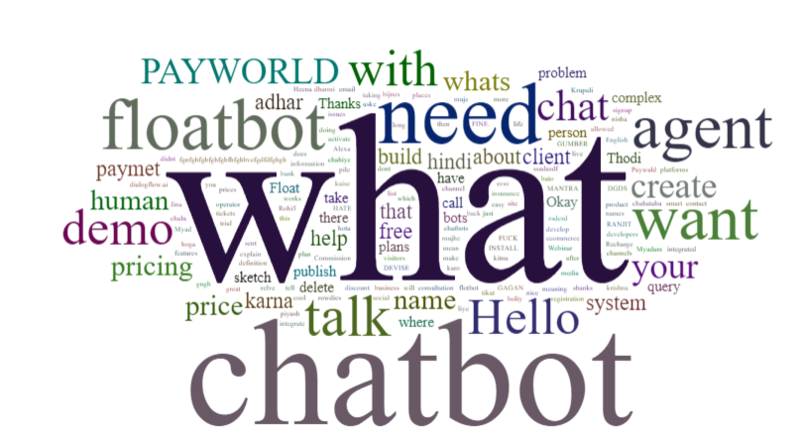 Word cloud is a collection of words used by your user while interacting with the chatbot. The words appearing in the big font are the most typed/used words. This helps you to understand the keywords your user's types to know about your product/service.